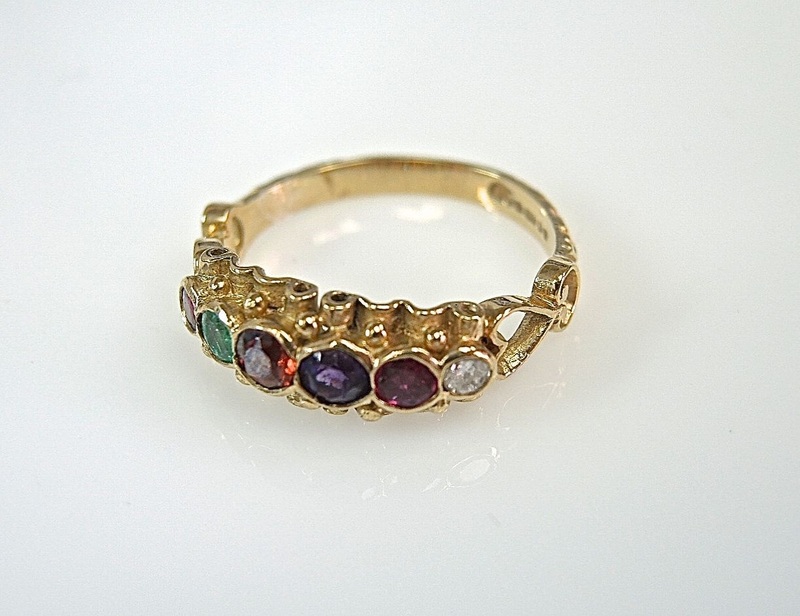 Find out about Victorian Acrostic Rings here! and sending personalized messages, inside jokes and 'text speak'. rings. These were called Victorian Acrostics. and attempt to read one another's ring messages. The most popular rings spelled out 'adore', 'regard' and 'dearest'. The first ring in this style was created by Jean Baptiste Mellerio for Marie Antoinette whose ring spelt out j'adore. commemorate import dates and events in his life. could be written and on brooches. your own message made into jewellery for someone special. Don't you just Lapus - Opal - Variscite - Emerald that idea?